Is Pope Francis, like Donald Trump, guilty of abject capitulation to Russia’s Vladimir Putin? That question was raised by one of the most respected Vatican commentators, John Allen, bringing to greater prominence a criticism often made behind closed doors. Allen recounts how, since the first months of his pontificate, Pope Francis has proved an ally of Putin in Syria, where Russia has now re-established its Middle East presence in an alliance with President Bashar al-Assad. And since 2014, Pope Francis has been muted in his criticism of Russia’s invasion of Ukraine and annexation of Crimea, repeatedly disappointing members of the Ukrainian Greek Catholic Church (UGCC). I noted here last month (in our June 15 issue) that, in a meeting with a delegation of the Russian Orthodox Church in May, Pope Francis appeared to take the Russian side in all matters Ukrainian. 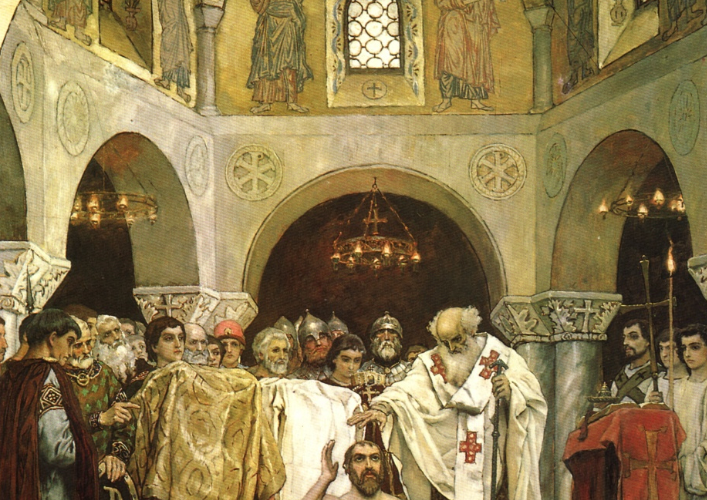 That was noticed, apparently, in Kiev, for on July 3 there was a private audience granted to Major-Archbishop Sviatoslav Shevchuk, head of the UGCC, by the Holy Father, ostensibly to honour the 1,030th anniversary of the baptism of Kievan Rus’ in 988. The UGCC statement pointedly noted that the meeting had been requested by Major-Archbishop Shevchuk. Indeed, the lengthy statement by the UGCC after the meeting systematically refuted all the points made by Pope Francis in his meeting with the Russian Orthodox.